I ought to start this by saying that I’m sure Nathalie Bennett, the Leader of the Green Party, is a nice person. She comes across as a nice person, and someone who genuinely cares about the world. But over the last few weeks her abilities as the leader of a British Political party that has the ability to really influence the result of an election have come under question. 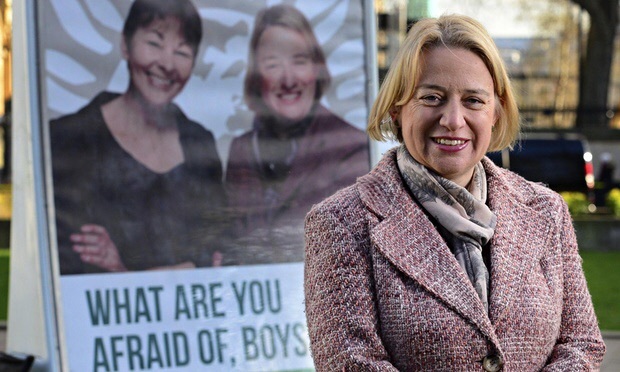 I was sad to see Caroline Lucas, the former leader and current Green Party MP, attack those who have criticised Bennett as having a ‘woman problem’. This is just not so. We in Britain don’t have a problem with our political party leaders being women, we DO have a problem with them being incompetent. The problems started for Bennett during an interview with Andrew Neil, the experienced BBC political presenter. This came just after David Cameron had given the Greens a boost by insisting they be included in the election debates before he would take part. This higher profile led a Green policy positions to be put under greater scrutiny. It was interesting to see what happened with Bennett. Normally, politician going on one of these programmes will come equipped with three things: A good explanation of what the policy is, how much it will cost, and how it is going to be paid for. Bennett has now arrived on too many television programmes armed with two out of three, but sometimes only one out of three of those. Hence, Andrew Neil rightfully pointing out that a policy that could cost £280bn cannot be paid for by savings on costs and tax rises totalliing less than £10bn. Bennett said it would all be in their fully costed manifesto at the end of March. Nigel Farage used to say things like that, he was rightfully given short shrift, and so was Bennett, and that was nothing to do with her being a woman and everything to do with her not having the information a serious politician should have. Worse, Bennett went on Nick Ferrari’s LBC show this week to talk about a policy that involved the building of 500,000 houses. But she couldn’t even say how much it would cost. If you are announcing a policy just like that this close to an election the figures should be imprinted on your brain. I fear that the Green Party just don’t feel figures are important. Bennett has tried to rely on justifying policies and general soundbites like ‘it’s the politics of hope not the politics of fear’. But we need more than that. Once again, I would have to say that Bennett wasn’t attacked because she was a woman. If anything, Ferrari went easier on her. If Farage, or any mainstream party politician had come onto his programme without the ability to give sensible figures, cold or not, Ferrari would have justifiably eviscerated them. Some are arguing that he killed her with kindness instead, but in his position there was very little else he could do. The reason we need more from Nathalie Bennett is two-fold. First of all, their poll performance suggests that they could have a significant influence on the next election. They are unlikely to have more than one or two MPs, but the votes they take away from the Lib Dems and Labour could cost those two some marginal seats. So we do need to understand what we are voting for. Another reason their policies need to be scrutinised more is because the Greens are arguing for a fall in our living standards as measured by GDP in order to create the world they feel would be better for us. There is a legitimate argument they can make that human worth shouldn’t be measured in money terms but in happiness and health. They need to be a lot clearer on that, again so that we know what we are voting for. Finally, on Nathalie Bennett, a story from the almost farcical press conference the Greens held the next day to launch their election campaign. Baroness Jenny Jones and Caroline Lucas effectively stopped Bennett from answering any questions about the LBC interview. Bennett eventually was allowed to speak, and gave a heartfelt apology for the “brain-fade” she had had. It reminded us that Nathalie Bennett is human, just like all of us. The trouble is that we need our politicians to be brighter and more able to retain information than she has appeared to be so far. We THINK we want our political leaders to be just like us, but our experience of having that someone shows that, in fact, we don’t.